Thank you SO much to Grand Central Publishing and NetGalley for these copies in return for our honest opinions. Happy Publishing Day!!! On a small Greek island, a woman comes ashore with no memory of who she is, where she's from, or how she came to be shipwrecked there. Worse, she has no way of leaving. As she's nursed back to health by the island's only inhabitants, four friends on an annual retreat, she detects tensions between the group that suggest not all is quite as it seems. Her new acquaintances each appear to be hiding something--something that may relate to the mystery of her identity. Meanwhile, in a pretty suburb on the outskirts of London, Eloise, the mother of a newborn and a toddler, vanishes into thin air. 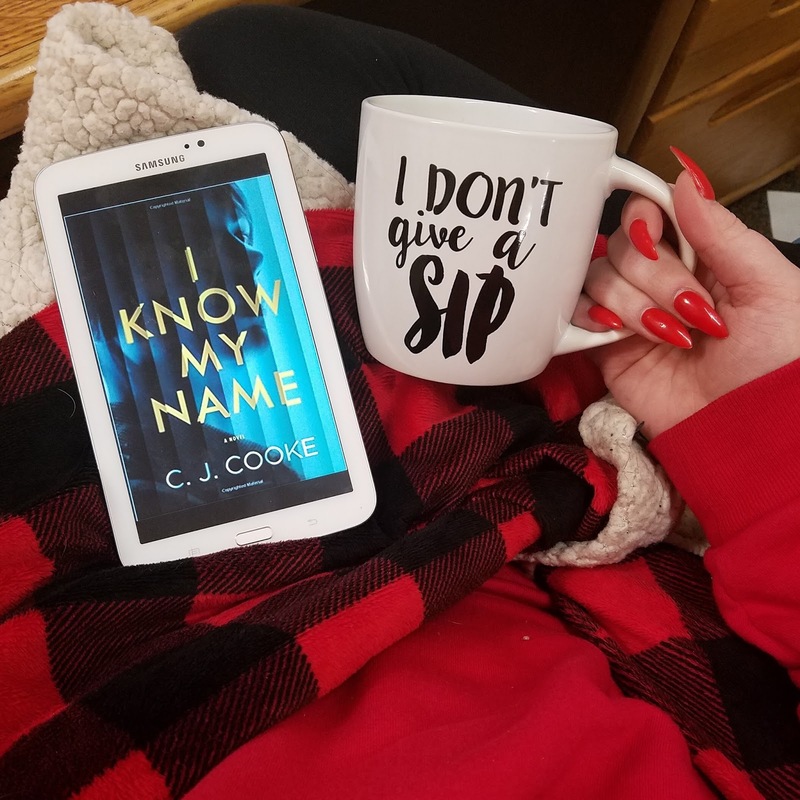 Her husband, Lochlan, is desperate to find her--but as the police look into the disappearance, it becomes clear that Lochlan and Eloise's marriage was not the perfect union it appeared. As Lochlan races to discover his wife's whereabouts, Eloise enacts an investigation of her own. What both discover will place lives at risk and upend everything they thought they knew about their marriage, their past, and what lies in store for the future. Lochland receives a call from a neighbor who finds his children home alone with their mother nowhere to be found. He races home and begins his quest to try and figure out where his wife went. The baby monitors seem to be off for some reason, no one has seen her and he is at a complete loss as to who may have taken her - after all, she had no reason to leave. A woman wakes up on a remote island. Rescued by writers on a retreat on an island that houses no on else, she is left without her memory and no way to get in touch with anyone to know if she's missed by anyone. Why can't she remember anything and why are these people somewhat familiar to her when she's never met them before? This book drew me in from the beginning. We quickly realize that Lochland's wife is the rescued woman on the island. The question we want answered is how did she end up there and why? We get alternating points of view between Lochland and this woman. Occasionally we see through a couple other peoples POVs and a few glimpses into her past. This is where the book lost me a little bit. It wasn't confusing as much as just all over the place. I quickly realized where the book was going so while I can see the ending being a huge twist and surprise for most readers, it wasn't for me. Clearly the author knows how to write. I understood everything coming once I realized where the book was heading so it made more sense to me when I got there. For a debut novel, I'm very impressed and will definitely look for more from this author. 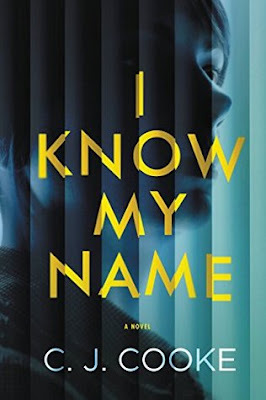 Personally, I think I'll be in the minority and feel most readers will absolutely LOVE this book and be surprised by this psychological twist at the end. I am such a sucker for a mystery/thriller with a missing wife. Gone Girl started the trend and, now, I cannot help but add a book with that similar thread to my TBR pile. 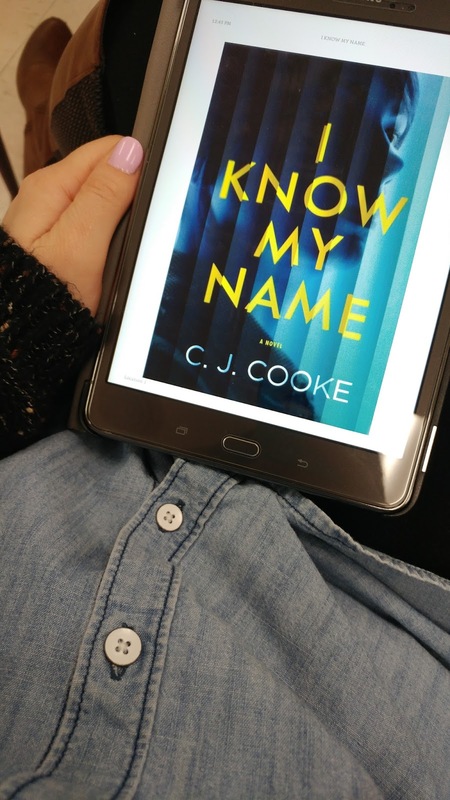 I Know My Name, the debut novel by CJ Cooke, had just that element. Lochlan’s wife, Eloise, is missing. She disappeared from their home leaving her phone, her wallet and her children behind. Meanwhile, a woman washes up on a Greek island without any knowledge of who she is or how she got there. Told in a back and forth narration, these two tales weave together making quite the digestible read. In fact, I sat down to read a few pages and was finished within a few hours. Cooke’s tale is not only beautifully written but incredibly entertaining. It becomes quite clear within the first few chapters that the missing woman and the woman on the island are one in the same but Cooke still had me on the edge of my seat wondering how she got there and how Lochlan would discover her whereabouts. My only complaint in the novel came from sections of narration. There were a few moments where I found the style to be incredibly confusing. Told mostly through the eyes of the woman on the island and Lochlan, as her desperately searches for his wife, there ended up being some random chapters narrated from Eloise's grandmother’s point of view and also a few chapters from the past which felt a little bit random. These had me flipping back and forth trying to re-orient myself in the text. The final twist nearing the end I did find interesting and quite fitting for a novel of psychological suspense. Overall, I felt like it was a solid crime read that readers who are looking for a softer bit of crime fiction will enjoy. A missing wife in London, a mystery woman found on a remote Greek island, and secrets between spouses. 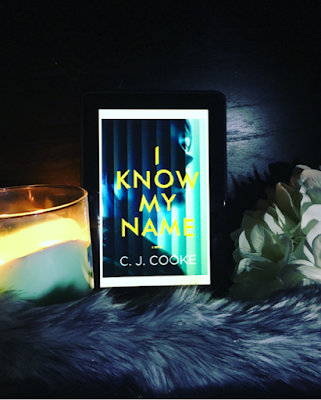 I KNOW MY NAME by CJ Cooke is a solid thriller debut! With similar elements that we all know and love in the thriller genre with a fitting end for a psychological suspense novel. When Eloise goes missing, Lochland's world is turned upside down. He receives a call from his neighbor that his children (toddler and newborn) are home alone with their mother nowhere to be found. Her phone and wallet are left behind - where is Eloise? Meanwhile, a woman washes up on shore of a remote Greek island. She has no memory of who she is or how she ended up there. This book instantly pulls you in. You quickly learn that Eloise is the mystery woman on the island - so no spoiler there! What happened to Eloise and how did she end up in Greece? The book bounces between different perspectives - mainly between Lochland and the woman on the island. We had a couple random chapters from other perspectives that helped tell a little bit about the woman's past. I do agree with my buddy readers, Chandra and Sam, this had me a little confused. The fluidity was broken up here, but otherwise this was a solid debut. The ending had a great twist and I think it was incredibly fitting for the psychological thriller genre! I will definitely be looking for more from Cooke in the future. She can tell a story and I really enjoyed the writing in this one. If you want a good psychological thriller to get sucked into, then you'll have to pick up I KNOW MY NAME! I give this 3/5 stars!